Next year marks 30 years of the iconic Bluesfest. 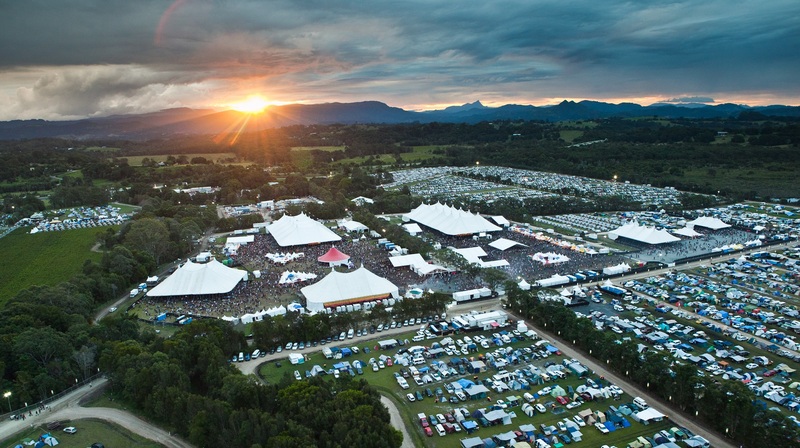 The popular five-day music festival showcases artists from around the world, on 120 hectares at Tyagarah Tea Tree Farm, just north of Byron Bay in New South Wales. But for those unable to make the trip this Easter, Bluesfest Touring will be bringing the Bluesfest vibe on the road. The 2019 tour will capture some of the highlights of the festival, bringing blues, roots and the myriad of genres from the infamous festival. The singer-songwriter who is making his long-awaited return Down Under after a 10-year hiatus will perform with John Stirratt, the bass player and founding member of the Grammy Award-winning band, Wilco. The pair will treat Melbourne and Sydney audiences to an intimate show, captivating crowds with a soft, delicate voice that can be as powerful as an instrument. The founding ‘Father of Funk’ will perform live in Australia this April as he plays both a Melbourne and Sydney show for his Funk-a-thon farewell. The man often referred to as a “musical genius” retires in May 2019. He is sure to ‘Tear The Roof Off’ with his funk melodies which still have a major influence and inspiration for today’s hip hop and RnB artists. Recording both as Parliament and Funkadelic, George Clinton revolutionised RnB during the ’70s, twisting soul music into funk by adding influences from several late 1960s acid heroes such as Jimi Hendrix, Frank Zappa and Sly Stone. The Portland, Oregon based musical collective are making their way to Australian soil for three headline shows ahead of the festival slot at Bluesfest 2019. Best known for their realistic lyrics and influential messaging through catchy melodies, Nahko And Medicine For The People’s primary goal is to bridge cultural gaps and unify diversity with their music. Nahko Bear and his Medicine for the People are known for their high energy, powerful performances of conscious tribal anthems, often raising the roof of the Bluesfest tent and soon to do the same in Brisbane, Sydney and Melbourne. By popular demand, Arlo Guthrie is bringing the Alice’s Restaurant Tour to Australia this year. With a distinguished and varied career spanning almost 60 years, the American folk singer-songwriter will play four shows—one in Sydney, Canberra, Melbourne and Adelaide—along with his performance at the 30th Anniversary of Byron Bay Bluesfest next Easter. Guthrie is best known for singing songs of protest against social injustice and storytelling through song. Guthrie’s humorous persona and his musical mixture of folk, rock, country, blues and gospel styles in songs almost equally divided between his own originals and well-chosen cover tunes are sure to entertain audiences across Australia. The multi-Grammy award winners are Sara Watkins, Sarah Jarosz and Aoife O’Donovan, who between them have released nine solo efforts, co-founded two seminal bands and released their debut album See You Around earlier this year. The trio who have individually made their names in the male-dominated field of American roots-and-country music will be performing live in Sydney and Melbourne ahead of their performance at the 30th Bluesfest next April. The four-time Grammy winner and blues influenced talent will be taking his musical force that defies typical genre labels to Cairns, Melbourne, Sydney and Newcastle next April. Over the past two decades, Keb’ has cultivated a reputation as a modern master of American roots music through the understated excellence of his live and studio performances. The list of his artist collaborations compromises a who’s-who in the music industry and includes Bonnie Raitt, Taj Mahal, Vince Gill, Amy Grant, Jackson Browne, Natalie Cole and Marcus Miller. After winning over heaps of Aussie fans at his Bluesfest debut in 2017, he is returning Down Under to play shows in both Sydney and Melbourne ahead of his performance at the 30th Anniversary of the festival. The roots and reggae artist from South Carolina realised at a young age that music was more than just a passion. Hall is renowned for his emotionally moving and inspiring live shows which have a clear linear pattern of storytelling, particularly noting sentiments of love. The band is making a much-anticipated return to Australian shores in 2019. The self-branded “Trouble-Makers” have built an immense, fervent fan base with their brand of live-wired straight-shootin’, dirty-mouth’d, pelvis-pushing juke music—don’t miss out as they take Australia by storm again in 2019. The Bluesfest favourites are taking their rootsy Bay Area, hotbed of soul, blues, funk and RnB energy to Melbourne and Sydney this April. The troupe have put out six albums during the past decade and two alone in 2015, but released Call It Home: Vol. 1 & 2 in May 2018, celebrating their 10th year together. The Honeydrops have come a long way since guitarist and trumpeter Lech Wierzynkski and drummer Ben Malament started busking in Oakland subway stations, but the band has stayed true to that organic, street-level feel sure to get you dancing during the Easter break! For further information please see bluesfesttouring.com.au.